Mixology contain a minimum of 50 percent post-consumer recycled content. 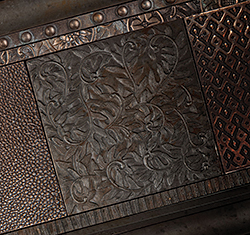 Seven field tile designs are available in 4-by 4-inch and 6-by-6-inch versions. Ten trim options, two random mosaics and four finishes.